For those looking to spend time in the garden this Easter, make sure it is time well spent, by following the list, below, of suggested jobs to carry out. Now is the perfect time to cut the grass and to help provide your lawn with the best chance of looking its best throughout the year, for the first three mows of the season, your blade should not be set lower than 4cms. As the month goes on, bring the mower blade down to 3cm, before going for an even shorter cut later in the spring and throughout the summer.A neat lawn is the focal point of any garden which is why it is important to take care of yours, and with the lawn cut, you may notice it is in some need of repair. Use the Easter break to sow new lawn seeds / repair bare patches. 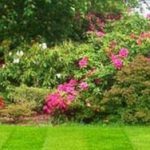 Cutting the lawn, laying new grass seed or repairing bold patches isn’t the only TLC which you need to show your lawn during Easter – and throughout April. You should also be scarifying your lawn, weeding and feeding it, to give it the best chance of looking luscious throughout the summer. Although it may not be the most glamorous job to do in the garden, it is important to give your greenhouse a thorough clean before the hot weather sets in. By taking the time to thoroughly clean your greenhouse, you’ll provide your plants with an improved growing environment, and a top tip for cleaning the greenhouse is to wash it out completely to remove any dead vegetation which can be a breeding ground for pest. Dig compost into the soil, as this will help your plants, seeds and shrubs, etc to stand the best chance of growing strong and healthy due to them being able to get the nutrients they require.Whilst digging in the compost, it also gives you the opportunity to remove any stubborn weeds which may be left behind. Perennial weeds can make your flowerbeds, allotment and pathways look unattractive and prevent your plants and shrubs from growing.To remove weeds, use your garden fork to pull the weeds out, and where possible get as close to the roots, to prevent the weeds from coming back.If the weeds hindering your garden are coming from your neighbour’s side, dig a trench 18 inches deep and line one side with a polythene barrier, before packing it with stones. 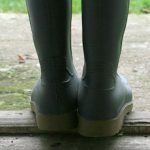 This not only deters weeds, but also provides useful drainage in the garden. 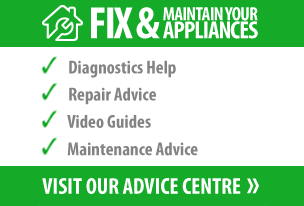 Clean and repair your garden appliances, especially as many will not have been used since last year. 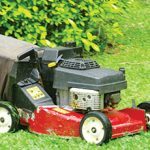 Some of the key areas to check on your garden appliances are the blades on your lawnmowers which may need sharpening or replacing if they’ve become blunt; whilst the spool line on your trimmer may also need replacing. Prune any shrubs which have become frost-damaged or have weak growth, as pruning the shrubs will help to encourage a healthy growth, helping to ensure a wall of colour is created throughout your garden. If you planted shrubs or trees last year, now is the time to give them a once over, especially as the wind combined over the winter months is likely to have loosened the soil. If the soil has become loose, make sure you re-firm it and provide the shrubs / trees with a healthy watering. Growing your own fruit and veg is a great way to save money on your shopping bills, whilst also encouraging you to get out into the garden – even when the weather may not be great. Over Easter is the best time to begin planting your vegetables, particularly asparagus, beans, carrots, onions and peppers. Spend the Easter weekend planting your summer bulbs, particularly Dahlias, and annual seeds such as Marigolds. You should also use the time to plant your biennials including pansies and violas. Carrying out these ten simple tasks over the Easter weekend will give you a great platform to continue the rest of your gardening throughout the summer months, helping your garden to become a wall of colour, scents and sights – without needing to spend a fortune. For more advice on how to make the most out of your garden, not only during Easter but throughout the year, visit the gardening section of the BuySpares blog.